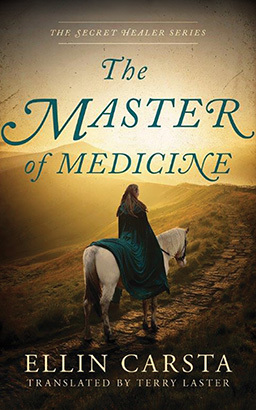 In medieval Germany, Madlen Goldmann left her passion for medicine behind to live a life of quiet contentment with her devoted husband, Johannes, and their children. But when Madlen’s aunt delivers the news that Johannes’s father, Peter, has gone blind, Madlen must use her healing skills to help just one more time. While caring for her father-in-law, Madlen assists a handsome young doctor, Franz von Beyenburg, in a procedure to restore Peter’s sight—something she never dreamed possible. When Dr. von Beyenburg invites her to attend his medical lectures in Heidelberg, Madlen realizes it’s an unprecedented opportunity to expand her knowledge. But to do so, she must return to the town where she was falsely accused of murder, face the scorn of her fellow male students, and assuage her husband’s unease—all obstacles that seem insurmountable. Will she risk it all to realize her dream of saving lives—whether society is ready for her or not?